Inside an unremarkable, flat-roofed building in Peterborough, Ontario sits the world’s largest collection of canoes, kayaks and paddled watercraft. 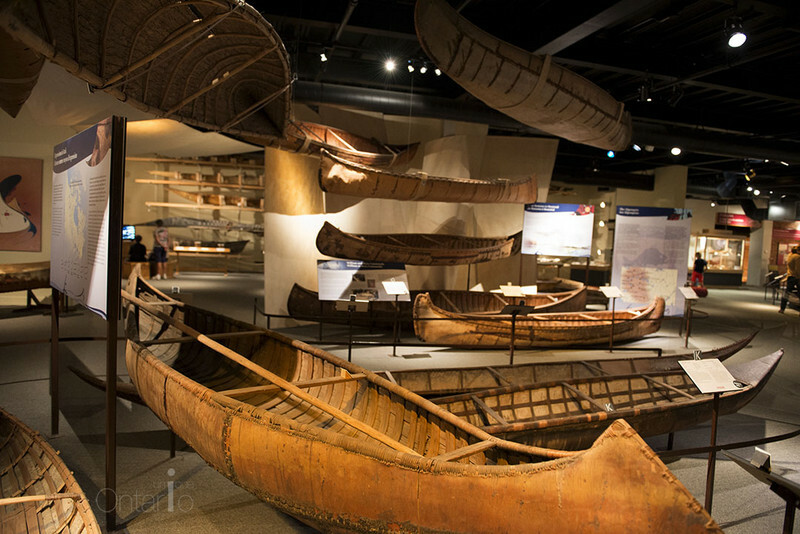 The Canadian Canoe Museum protects over 600 vessels and numerous accessories. Most visitors will begin their journey through the museum with a fascinating look at some early approaches to canoe building. The dugout and birch bark canoes on display demonstrate how hull shapes were altered to suit the challenges of local waterways. Each First Nation had their own unique designs signifying their vessels. The museum also highlights the harsh realities of portaging for Fur Traders. By the late nineteenth century, there was a growing demand for vessels for leisure use. There’s even a “courtship canoe” on display with a built in phonograph. According to the museum’s blog, this kind of “canoodling” was a popular pastime for young people in the early 1900s. 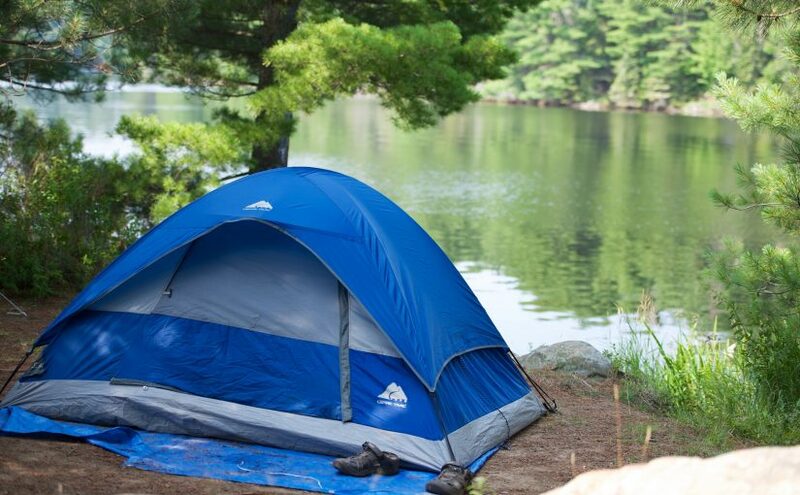 Peterborough itself, as the gateway to the freshwater-filled Kawarthas, is ideally located for paddling. From the 1850s onwards, Peterborough became a canoe-building hub, with companies such as the Canadian Canoe Company and the Peterborough Canoe Company building vessels there. 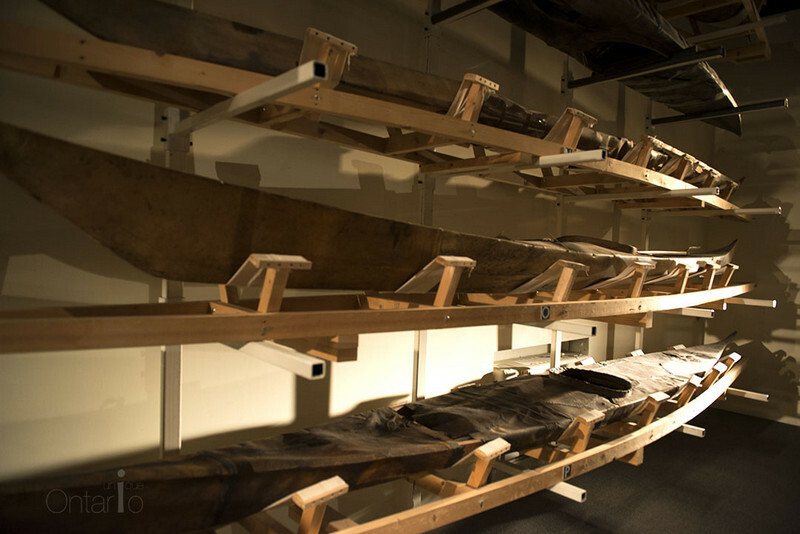 There are a number of wide-board canoes on display at the museum, and this method of construction was invented in Peterborough. In northern Canada, Inuit peoples developed kayaks using wooden frames coated with seal skin. The kayaks at the museum trace the heritage of the bright plastic kayaks that are so common on Ontario’s waterways today. Paddles were not merely a method of propelling vessels across the water, but could also be used for digging clams, as weapons or for signalling to those on land. A raised paddle was a sign that the boat was approaching in peace. 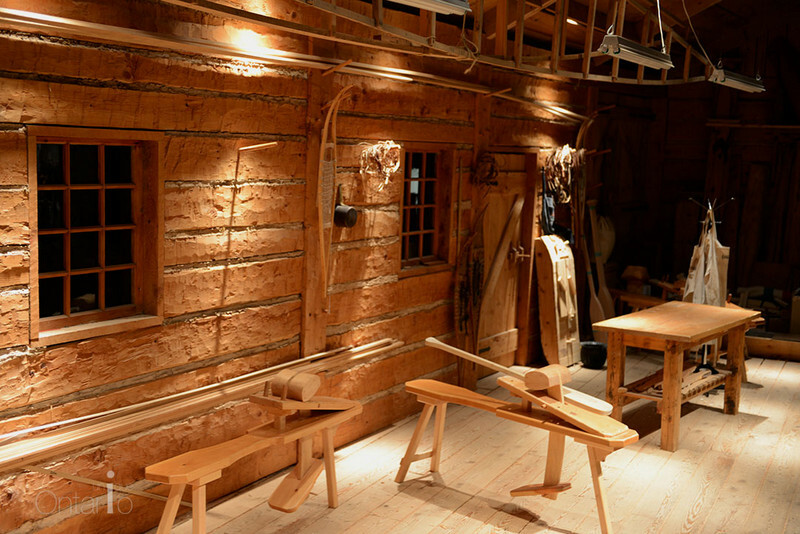 Canoeing enthusiasts can carve their own paddles at one of the museum’s paddle carving workshops. The Canadian Canoe Museum is open year-round. Learning programs are available for adults and kids. They cover a range of activities from paddling to finger weaving.